Pink Check Blossoms giclee print by Kimberly Hodges. This is one of my most popular prints; the original acrylic on canvas sold to a Japanese collector. It is available in 3 sizes and printed on watercolor paper with a 1" border all around or a stretched canvas print. My giclees are printed on high quality acid free watercolor paper using my Roland printer and Japanese archival inks made to last 200+ years. 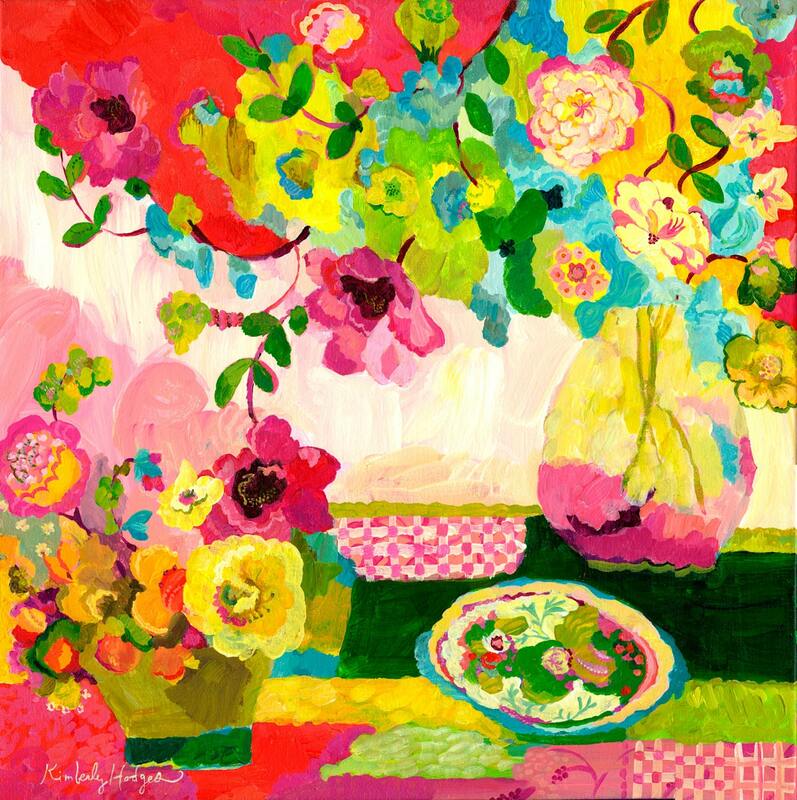 I have always loved Kimberely Hodges art because she uses fun ,bright colors and adds lots of whimsy. Every time I look at this picture it makes me happy inside.